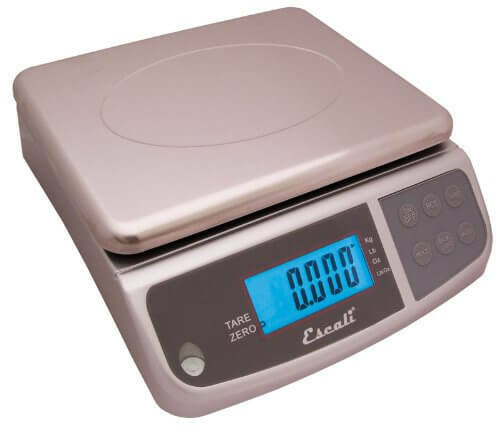 There are many reasons why owning an accurate weed scale comes in handy. Perhaps you are getting into the business of buying and selling cannabis (don’t forget to check out your local laws). Maybe you want to confirm you aren’t getting ripped off by your local dispensary. Or, you might need to measure out specific doses for medicinal applications more accurately. Whatever the reason, weed scales are a valuable tool to have on hand. They can come in handy on the coffee table, directly beside where you open your most recent bag of bud. They can be helpful in the kitchen, for when you are whipping up some of your world famous weed butter. Also, many people don’t realize; stealthier models are useful for when traveling or on the road. The best weed scales aren’t monstrosities that you have to lug around the house. They are small, extremely portable, incredibly accurate, and always helpful. What Should You Look For in a Weed Scale? Consider all the reasons why you need a weed scale. But maybe first, you should consider what weights weed comes in. Where are you going to use it? If you are a small scale home farmer and need to weight out large quantities, a larger scale with a container is helpful. But other people might only want a portable size, meant for traveling and for use on the go. Once you know what type of scale you are looking for, models come in one of two varieties: digital and mechanical. These days, a mechanical scale is of limited use and questionable accuracy. 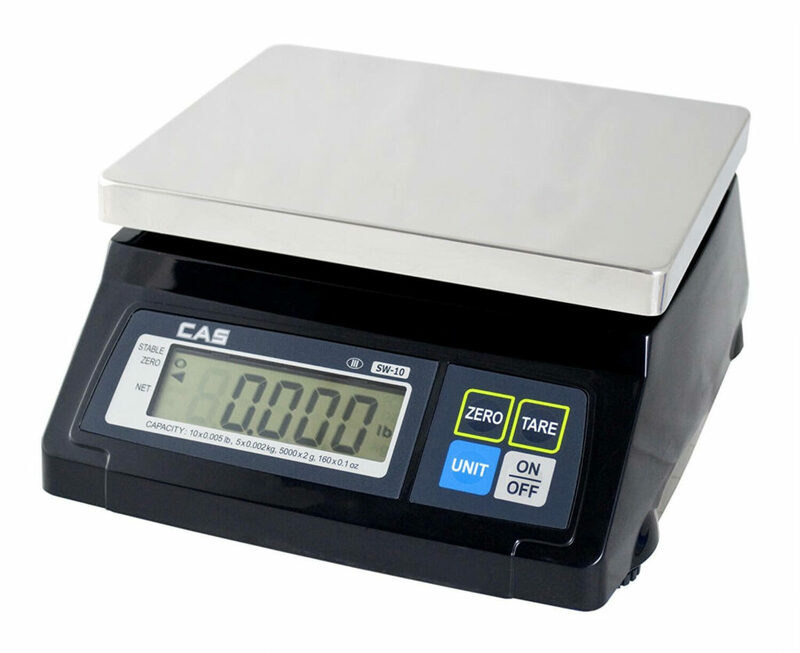 Digital scales are the wave of the future and are much more compact than the mechanical variety. So, unless you prefer a mechanical scale for sentimental or decorative reasons, its best to go digital today. Finally, price point does play a significant factor in overall quality. Unless you have direct experience with a budget scale that works, its best to invest money on a premium brand. Not only will it last longer, but it will also likely be accurate down to four or more decimal points. Some of the better brands come with extended warranties, up to ten years in some cases. Not everyone wants their weed habit to be out in public. What better way to hide your love affair with weed than to hide your digital scale? 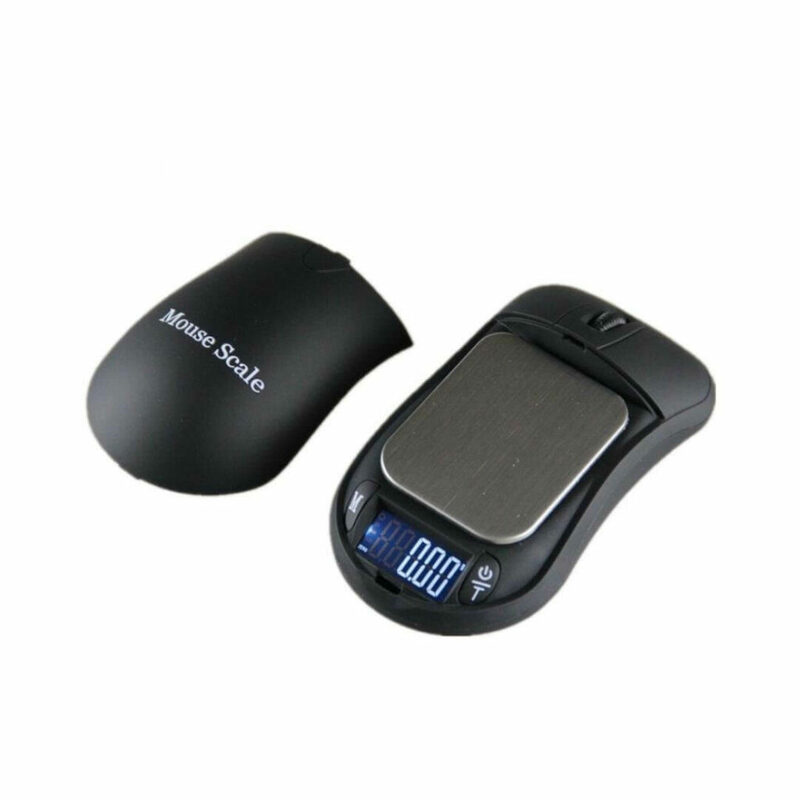 This scale is buried deep inside the body of a computer mouse and makes a perfect desktop addition for any cannabis enthusiast. Looking for a more portable option than a mouse? 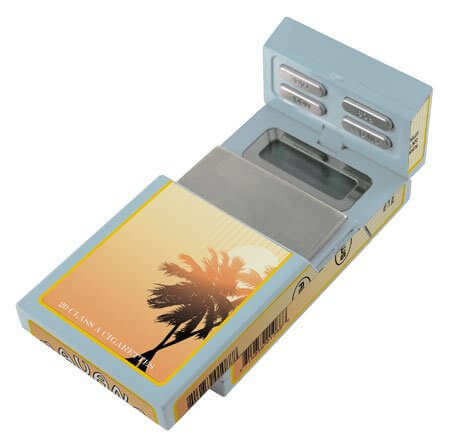 There are also scales hidden inside of packs of cigarettes. They comfortably fit inside pockets or in the glove compartment of a car. Cigarette scales are great for travel. This option is obviously digital with a back lit screen. 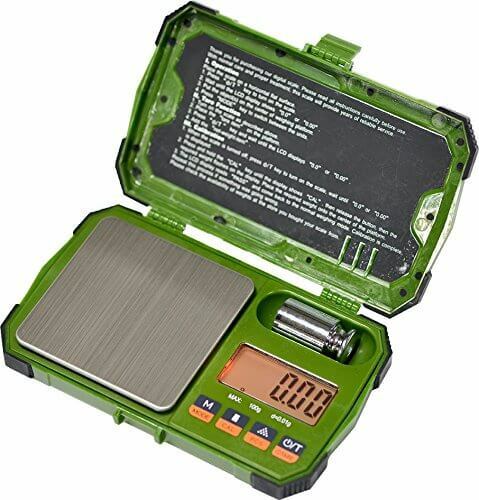 They are accurate down to 0.1 g.
For the outdoorsy type, go full blown US ranger with this portable stealth scale. Although it’s not hidden inside a package of cigarettes, it is incredibly rugged. It’s likely not going to be immediately associated with marijuana, because of its particular woodsman aesthetic. When not in use, it packs up light into a backpack or travel bag and doesn’t attract unwanted attention. Everything you’ll ever need, all tucked into one portable container. 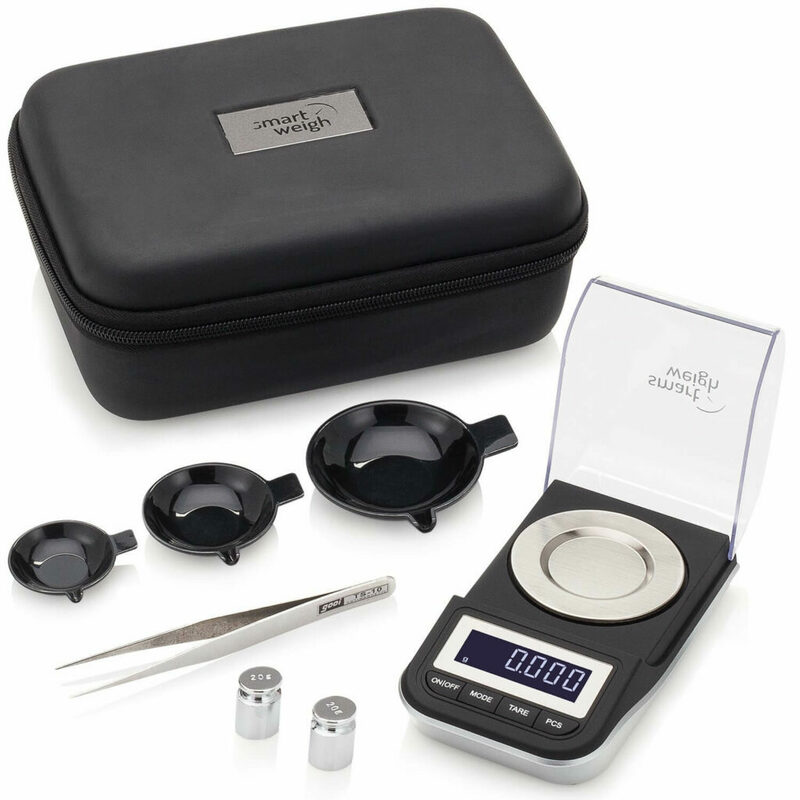 This scale hides inside a small black storage container, with a small weed grinder included as well. So not only can you use this device to confirm the amount of weed purchased, you can then grind and store the weed in the same place for transport. Go big, or go home. The SW Series scale can hold up to 220 lbs worth of product and was built to handle fast pace grocery store checkout lineups. It’s a perfect commercial addition to any grow operation. It can also come in handy in the grow room as well if you need to weight out fertilizers and pesticides before use on your valuable crop. 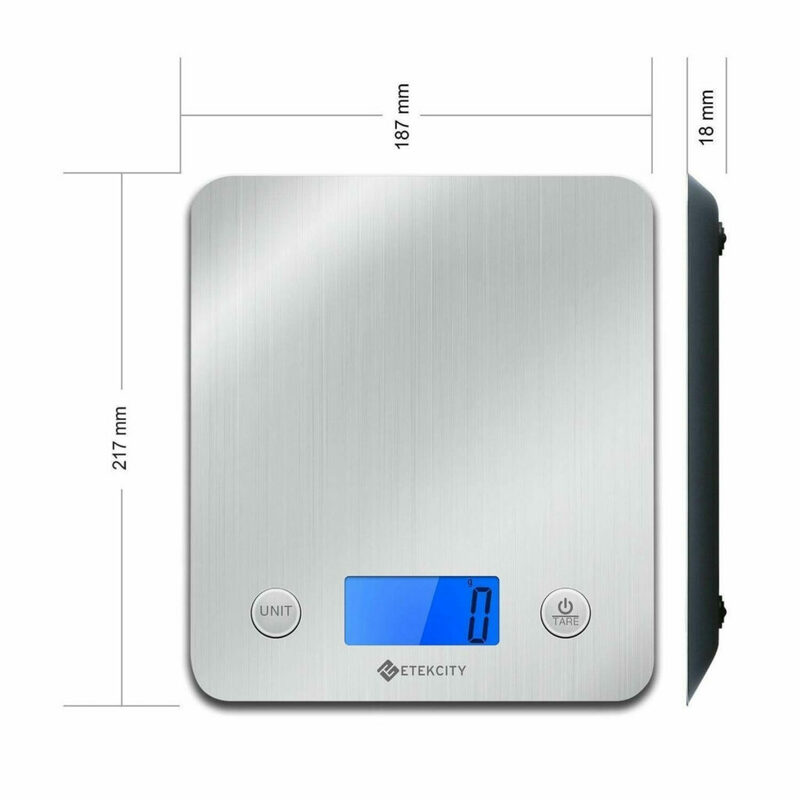 Still capable of holding 11 lbs of cannabis, this Etekcity Scale is toned down from the bench-scale industrial variety. It’s better suited to the do-it-yourself at home grower, curious about the weight of his recent harvest. Also works well if you tend to buy your weed in bulk. 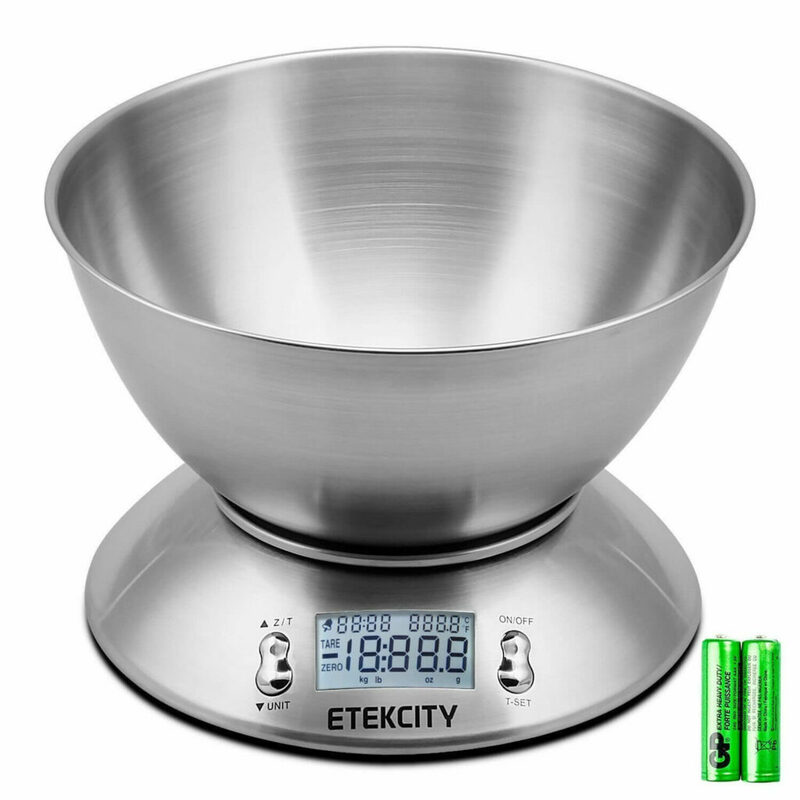 Similar in many ways to the other scale by Etekcity, this digital scale comes with a handy fitted metal bowl. Plus, it has a few helpful additions that can come in handy for those cannabis cooks. It can read temperature and has a built-in timer meant to reduce the need for additional kitchen appliances. It can hold up to 11 lbs as well. Suited to weighing large amounts, in a small space, The Escali scale has a display on the front and back. It’s extremely easy to wipe down and the top tray comes off for when even more thorough cleaning is required. No more sticky fingers leaving THC crystals on every surface. There are two types of people that require extremely precise scales: jewellers and cannabis extract lovers. Anyone using shatter, budder, or honey know the difficulties trying to get an accurate reading from a less than precise scale. 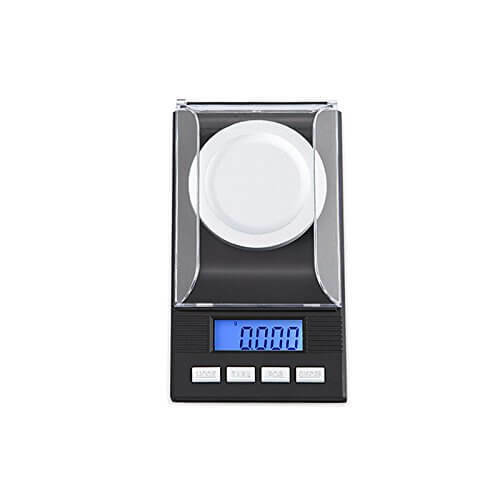 Using a jewelry scale, like this Smart Weight option, you can get down to 0.001 g of accuracy. This one particularly sleek, and comes at a great price point. Alapaste is another extremely accurate scale, in a much more portable size. 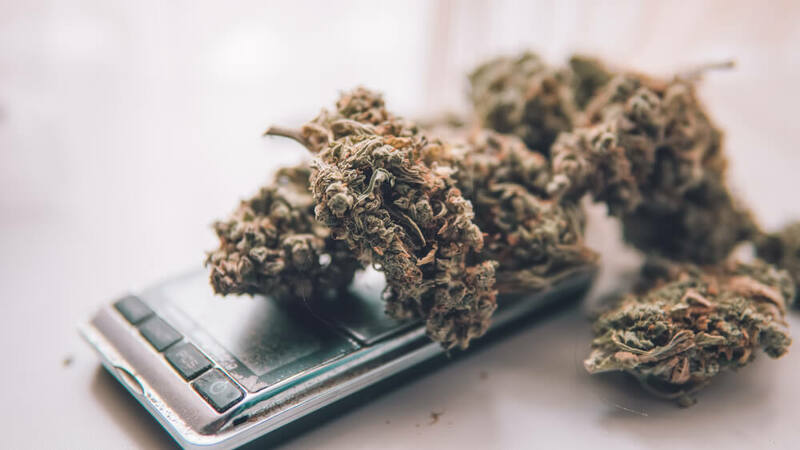 Although it’s maximum capacity is only 20 g, it can effectively weight something down to 0.001 g. This characteristic makes it invaluable to people looking to weight out precise doses of their medicinal product. The TBBSC branded scale is perhaps the best-looking scale on our list. It’s less accurate than the scales used by jewellers, but still an excellent option for those only requiring accuracy down to 0.1 g. Let’s face it; not everyone will need to know that much detail about the final weight of their weed. 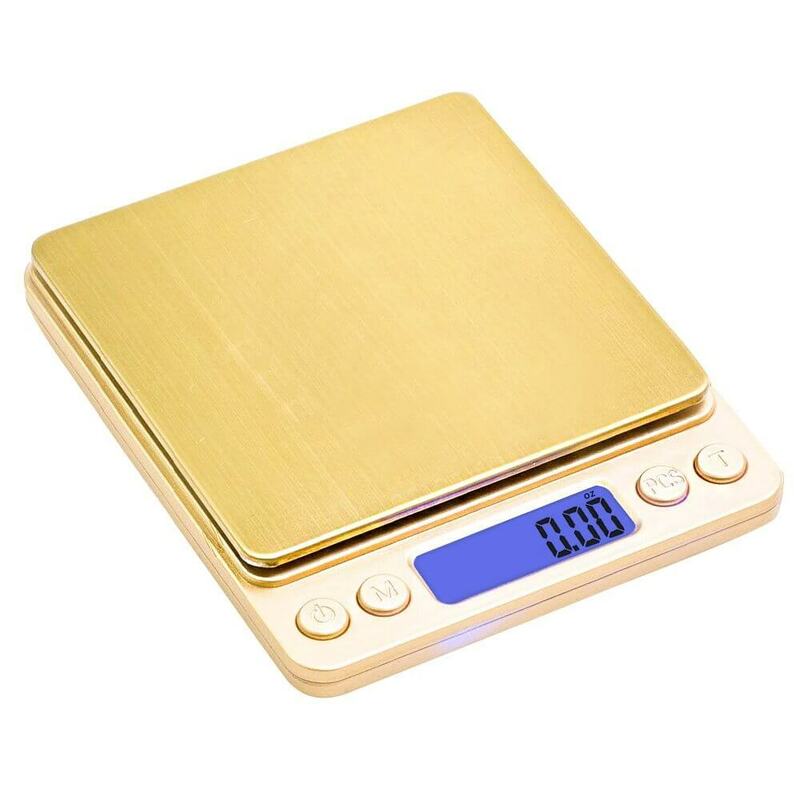 It comes in a sleek gold design and has a flip top to protect the delicate weighing area. By now it shouldn’t come as a surprise that there is an app for weighing weed. But if you’re trying to do back alley deals using only the scale on your phone, you might want to reconsider. Many mobile app companies are banking in on the mobile scales. Weed Scale 4.20 and WeedWeight are some of the most popular, but do they actually work? Unfortunately, weed app accuracy is questionable. After all, there is absolutely no scale feature build into your phone. Even if you download the app, you don’t suddenly have a scale downloaded as well. These apps function by hacking some other features within your phone, such as the sense of direction and touch screen capability. Usually, they require a complicated scale alignment before it will weight small objects. Do we recommend weed scale apps? Due to the problems with accuracy, and the fact your phone doesn’t have a built-in scale feature, they make a good party trick but little else. They shouldn’t be considered for dosing, business transactions, or anything else with consequences.